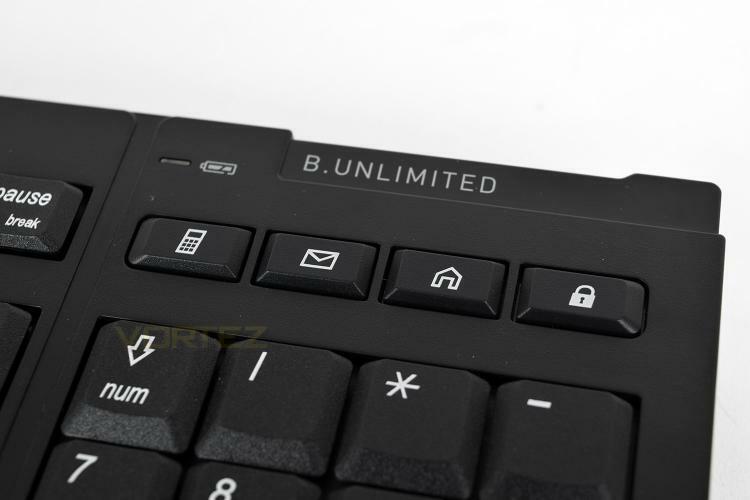 The B.UNLIMITED looks incredibly smart, with next-to-no pointless design features, keeping things as simple and honest as possible. 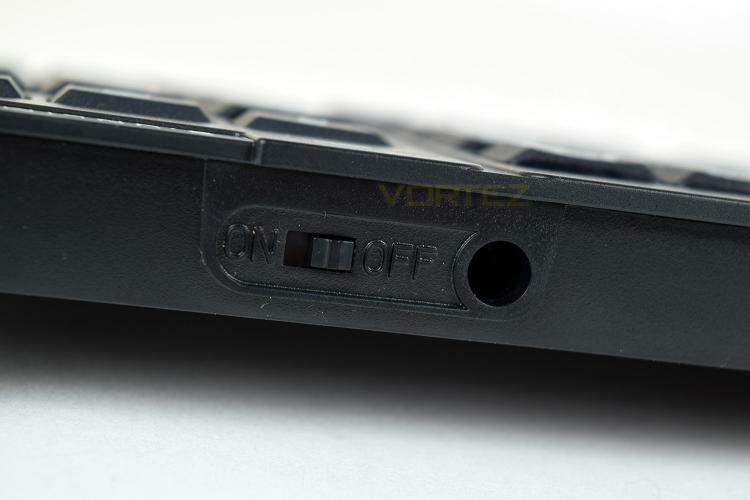 The CHERRY keyboard under the microscope today features their own SX switches, a type of membrane “scissor action” key like you find in most laptop keyboards. 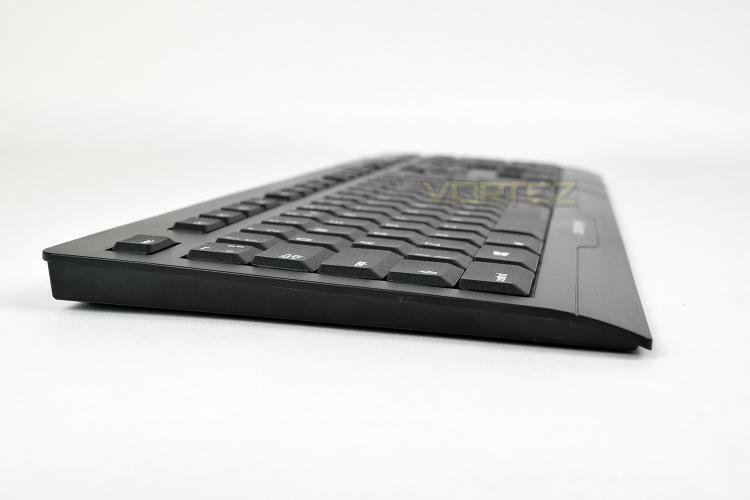 This helps to keep the overall height down, with the keyboard measuring only 17mm without the riser-feet. 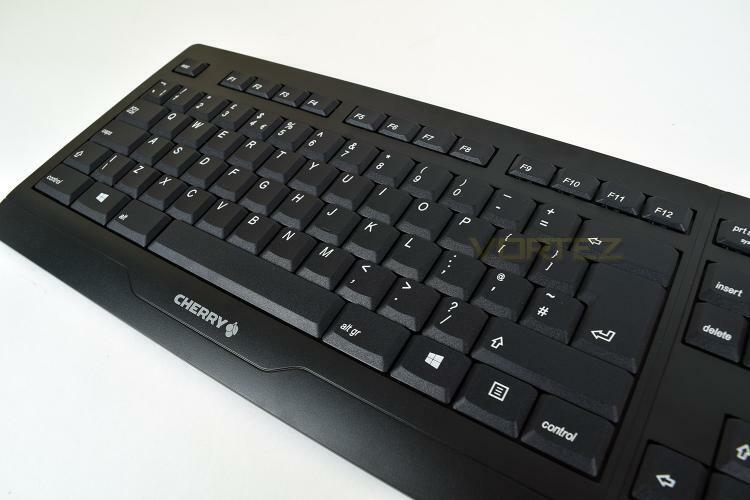 Typically, the overall height of a Cherry MX keycap would be taller than this entire keyboard. The keys are tightly packed, with a very small gap between. 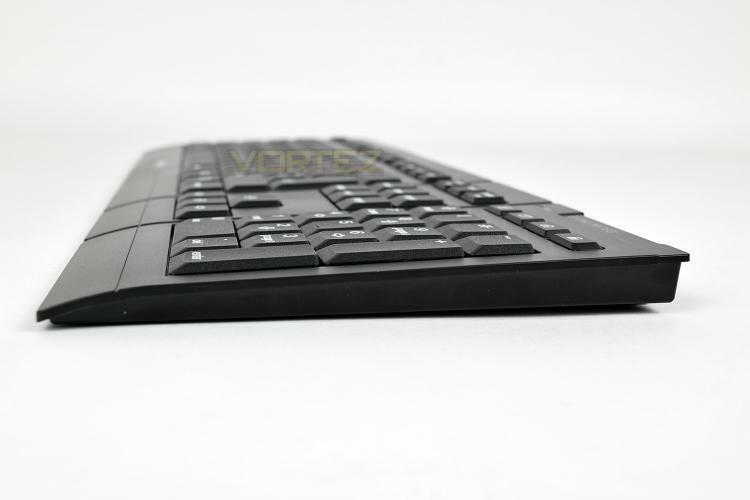 The legend is laser etched onto the surface to prolong the life of the keyboard significantly. 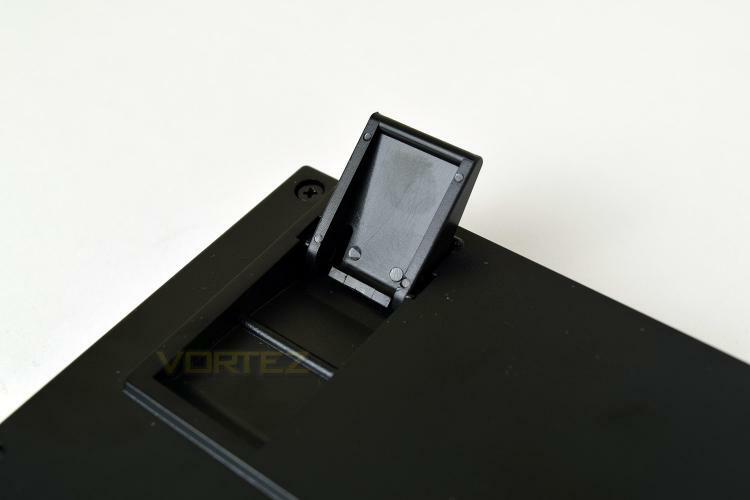 The underbelly of the keyboard houses 3 reasonably sized rubber pads to prevent the keyboard from moving around, along with the 2 riser feet in the rear corners. 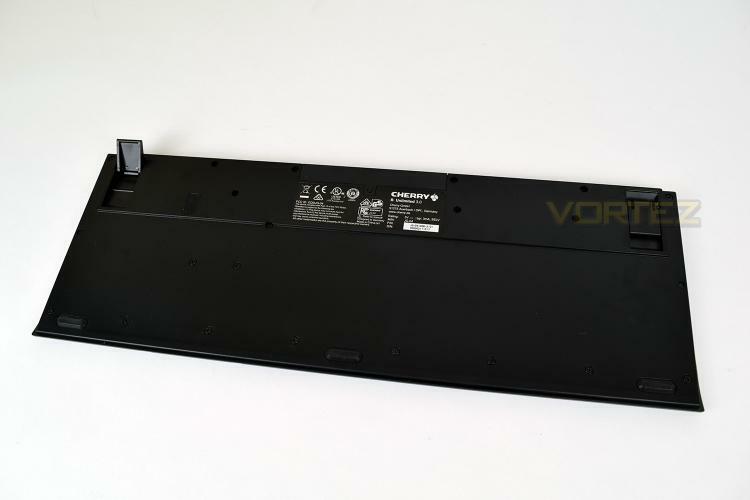 In the top right, CHERRY have taken away any kind of indicator LEDs for the CAPS lock, NUM lock and Scroll lock, possibly to prolong battery life. Instead, they’ve placed some handy keys for general office functions; from left to right, calculator, email, homepage and Windows lock. There’s also a small LED that will flash when the battery starts to run out. Almost directly behind the power indicator is the on/off switch, as well as the charging port.